This hardy annual is native to the western United States, but is adaptable to almost any arid environment. Its claim to fame is the brilliant, deep blue color of its delicate, bell-shaped flowers. 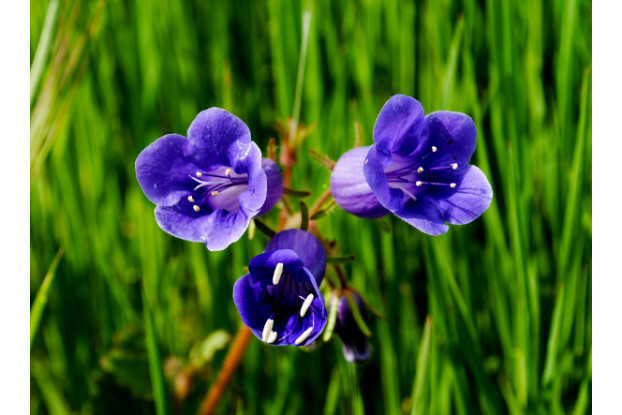 California Bluebells also have an aesthetically interesting leaf shape and resemble an African Violet. It prefers full sun in sandy, well-drained soils and can reach two feet in height. Blooms from early spring to summer. For the most eye-catching effect, plant in masses.